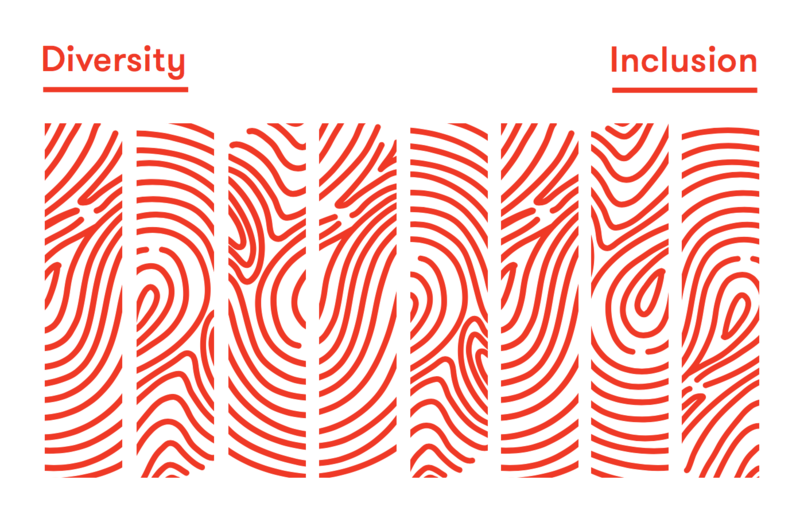 Diversity and inclusion (D&I) has always been at the forefront of Beyond’s core values. We’re committed to the important conversations and growth that occurs as part of learning about our conscious and unconscious biases. Here’s a bit about some of our efforts, and subsequent recognition we’ve recently received as a result of being more mindful about our processes, both within our client work and our internal efforts. This past September, our work on Flipside was selected as a finalist for a D&AD Impact Award, which recognizes original and transformative ideas that make a positive impact. Beyond got together with Made by Many, Sennep, Ustwo, Siberia, and Reading Room to take on the industry’s socioeconomic diversity problem in partnership with A New Direction and the London Legacy Development Centre. The programme – which included workshops, 1-2-1 training, and guidance around product design – was designed to teach 12 young East Londoners hard skills, while supporting softer skills to build their confidence and understanding of the agency world. East Works encourages socioeconomic diversity in digital technology and supports employment opportunities available to those in East London. The LLDC’s work is focused on developing talent and helping people gain employment in the following sectors: construction and the built environment, digital technology, and the cultural, creative, and fashion sectors. Beyond was recognized at the Variety Catherine Awards, winning the award for the Women’s Empowerment in the Workplace category. Founded in 2016, Variety Catherine Awards is setting a new standard for recognising the myriad of contributions for women in business and philanthropy. Here at Beyond, our aim has always been to become an inclusive workplace with equal opportunities for all. As a result, we partnered with General Assembly to address the gender imbalance within our tech department, and together we built a talent pipeline that allowed for a 16% increase in female engineer representation. We’ve also internally promoted a female CTO, recruited a senior female CCO, have 40% female representation at the senior level in our London studio, and 50% of our global C-suite team is female. But, aside from the demographics, we’ve also implemented initiatives like #IamRemarkable, a Google program that empowers women and underrepresented groups to celebrate their achievements in and out of the workplace. We’re also currently revamping an internal D&I program, which will include a number of initiatives that encompass our values, such as community outreach, engagement, and never stop learning. At Beyond, we think a lot about Verna Myer’s quote about diversity: “Diversity is getting invited to the party, and inclusion is being asked to dance.” We want everyone who comes into contact with Beyond, whether as a client or an employee, to feel like they were invited to participate, not simply be in the room. This is not about race, gender, or age; it is about allowing people to be their most creative and innovative selves. When we create an open environment where people from various experiences feel free to express their most extraordinary and unexpected ideas, that’s where the magic lives. Beyond is excited to move towards that vision and take steps towards that future.